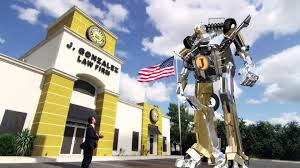 J. Gonzalez Injury Attorneys office in Brownsville, Texas serves the communities of Cameron County and the Lower Rio Grande Valley at 4217 Expressway 83. Our experienced staff, trustworthy personal injury attorney, and resources make us a top legal team in the Brownsville metro area. Request an appointment today to start on the road to justice! Our Brownsville office is conveniently located off E. Expy. 83. Individuals traveling into Brownsville on E. Expy. 83 will exit toward Morrison Rd. and follow Frontage Road to the destination. Individuals traveling from South Brownsville will take I-69E N., exit on Pablo Kisel Blvd., then take the turnaround on Frontage and Morrison Road.